The Quilting Process: Piecing your Quilt Top – Alice Samuel's Quilt Co.
Posted on June 3, 2016 June 3, 2016 by Alice Samuel's Quilt co. Needles (I use the 90/14 needle for my piecing, I don’t know why but it works for me). I personally use Schmetz needles, I got the Universal needle pack (Containing 70/10, 80/12 and 90/14 sizes) off Amazon and then I got a good deal on Massdrop for the box of 100 in the 90/14. Find out more about choosing a needle here or here . Threads (The thread I buy around here don’t have any indication of the weight but in comparison to my 50wt Aurifil I’d say I have a mix of both 50 and 40wt threads I use for piecing ) check out this post on Craftsy to learn more about Quilting threads. I’ll include starch again in case you didn’t listen to my advise about starching your fabrics before cutting. Temporary Spray or fusible web might come in handy too for applique pieces or just for holding things together. If you know anything at all about Quilting then you know no pattern, book, magazine or tutorial is complete without mentioning the almighty “1/4 Inch Seam allowance” or “scant 1/4 Inch seam allowance“. While I was never really interested in the history of why it has to be a”1/4 Inch Seam allowance“, I gladly accepted it as a standard especially when you are piecing a grid and the size of your finished block is of great importance (besides it also makes sense that you don’t want a bulky seam so 1/4” is probably as low as you can go for easy piecing and less bulk). I’m going to assume you already cut your pieces with a “1/4 seam allowance” as indicated in your pattern. However, how’d you ensure that you sew at exactly “1/4 seam allowance”? Well you’d want to do yourself a favor by buying a 1/4″ presser foot (refer to above image), I found out the hard way that my default presser foot that claimed to be 1/4″ wasn’t at all so I ended up with seam allowances slightly bigger which means my blocks end up slightly smaller. As you will come to find out, there’s nothing like slightly in Quilting…the slightest discrepancy in 1 or 2 blocks adds up to become significant. In this picture, I was aiming for 18″ finish and I don’t even know how that’s possible but this block finished at 14″ not even 16″. Granted this was my first trial after beginner’s class and I probably messed up right from the cutting stage but I’m looking at it now and thinking well there’s no way that’s a 1/4″ seam allowance. Never mind the fact that it won’t lay completely flat as it is bent out of shape…That was due to me ironing back and forth instead of pressing as advocated by those who have gone before. Read more on allofpeoplequilt or Sewmamasew to find out the difference between the two and tips on pressing your seams either open or to one side. I’ve pulled out a couple more examples from my unfinished object more like abandoned object pile to show you the importance of getting this stage right. This one came out so wonky and out of place that a less than perfect point was the least of my worry. I’m not even sure squaring this block can salvage it. This one has a lot going wrong, besides the fact that I gave up halfway attaching my background due to the Y-seams involved, there is also all the puckers and imperfect points, all the stretching due to the fact that strips are cut on the bias edge. The most obvious being the difference in the length of the stars, I used the exact same sizes of strips but had more experience with piecing accurately hence the diamonds are bigger and slightly more accurate on the latter ones. Oh in the absence of the 1/4″ presser foot, get masking tapes to mark a 1/4″ allowance on your sewing machine. Find out how to use the masking tape and other tips on achieving a perfect 1/4″ seam allowance from any of these links. On a final note, when I started, I ended up with a couple of those smaller than anticipated Quilt tops but it wasn’t the end of the world, I just added borders to make up for the difference (So don’t be afraid if you end up with less than perfect blocks, you can pull out the seam ripper or live with it… you’ll certainly be wiser). Again it helps to check each block as you go, the little discrepancies all adds up to something significant if you wait until the very end. For this reason, I deliberately make my blocks bigger and trim down to size afterwards especially when making HSTs…It’s worth the pain. Thanks again for stopping by and it’ll be lovely to hear your opinions or word of advise on the subject. Have a very productive weekend ahead…TGIF! 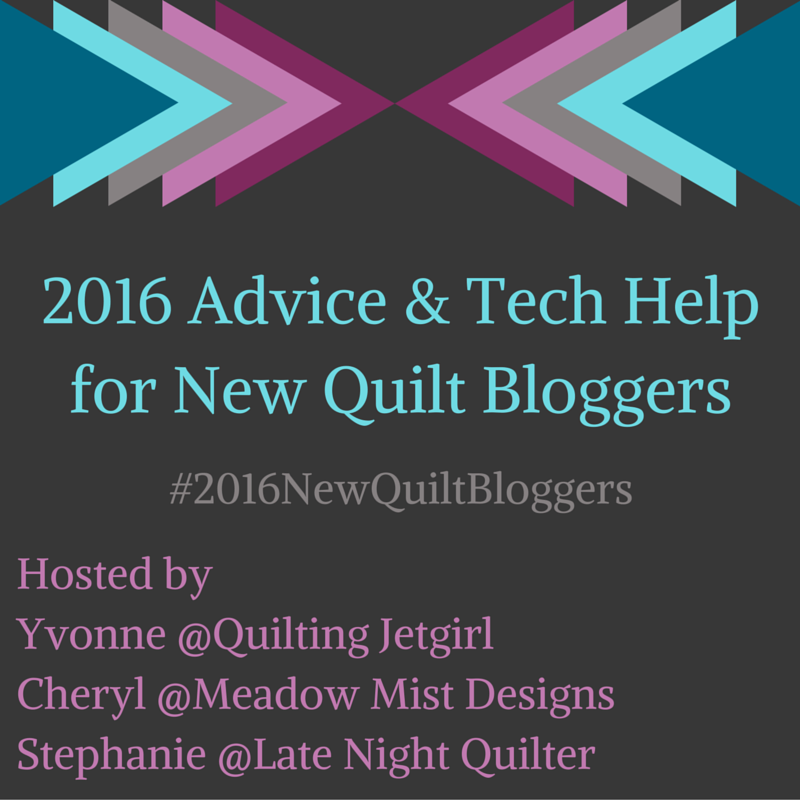 Pingback: Welcome to Cloud 9 New Blog Hop – Alice Samuel's Quilt Co.
Pingback: The Quilting Process: Basting your Quilt – Alice Samuel's Quilt Co. I learned this the hard way early on in my sewing days. I would go to a friend’s house and use her machine to work on a quilt then go back to my house and use my machine to work on the same quilt. Things never lined up quite right and I just attributed it to my beginner’s skill. Come to find out what she thought was her “quilting foot” wasn’t a true 1/4″. Now I just take my own machine if I go somewhere to sew. It took me too long to learn this but things began to make sense when I did. I used to dread sewing strips cos they just end up wonky and never the desired size. It’s really worth taking that time and effort to check the seam allowance. I had the tape marking on my machine at well as the foot…you can never be too sure. I only took out the tape when I became more confident in my skills and the accuracy of my foot. Thanks for your comment. You really should, taking the plunge was the only way I could learn and I’m much better now even if I do say so myself 😊. I’m still learning but hey I’m wiser now, I’ll probably try fixing or even making a replicate of these blocks just to show my progress. Thanks for your comment.